There are many iconic images of Japan’s natural beauty. From the peak of Mount Fuji to the delicate pink cherry blossoms, Japanese culture is interwoven with nature, and perhaps nowhere better is this connection demonstrated than in their beautiful style of gardens. The allure of Japanese gardens have spread throughout the world with a number popping up in botanical gardens throughout the UK, Europe, Australia and the Americas. They are a nod to the beauty of the gardening style. For those of you wanting to see the real thing, when planning an amazing tour of Japan, be sure to include a visit to some of the country’s iconic gardens. History, natural beauty and tranquillity all blend to create a Japanese garden and they are the perfect way to enjoy your travels to the Far East. What is a Japanese garden? 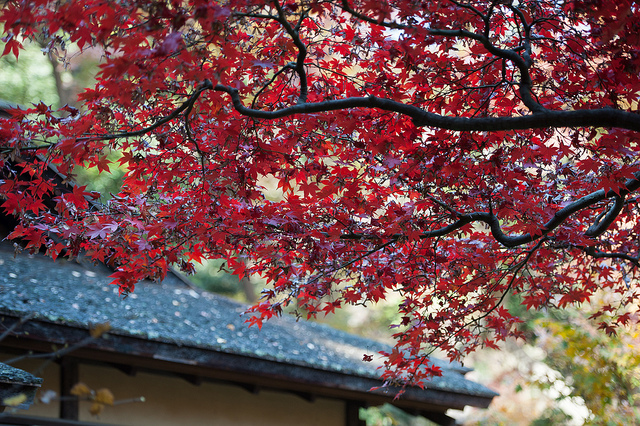 In popular culture, the Japanese garden is an embodiment of nature for its creators and carers. The seasonal changes that are featured in the images are said to mirror the transitions we all go through over the course of our lives. Through the plants, trees, sand and even the stones, each garden element is believed to have spiritual and natural significance. Anika Ogusu, from Real Japanese Gardens, grew up in Germany but has since dedicated her life to the study and appreciation of Japanese gardening. She is a garden designer at the Garden Design Shop Niwashyu. “My passion for Japanese gardens continues for 16 years now. What keeps me fascinated about Japanese gardens is how they managed to put my beloved woods and rocks in a kind of garden. There is no need for lots of different flowers in one Japanese garden. It is totally possible to create a garden with only one species of trees, moss and rocks. In a tradition that goes back over 1,400 years, the garden was made to create the perfect environment in order to entice the gods down from heaven to interact with the humans on Earth. 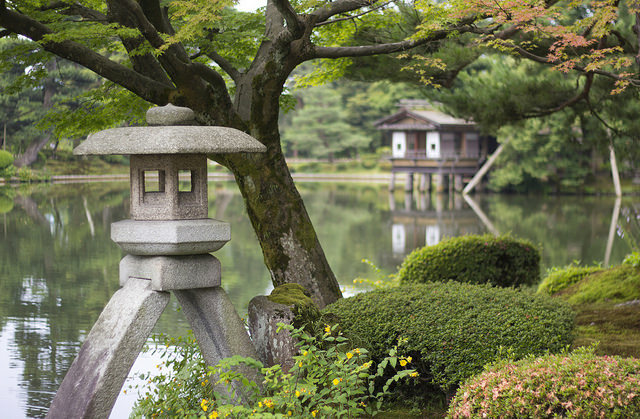 Spirituality places a key role in the design and enjoyment of Japanese gardens – with altars, religious icons and small memorials featuring in most of them. As the modern world slowly permeated into Japan’s culture, the garden adapted as well. In cities like Tokyo and Kyoto, there are gardens that inter-twine with the urban landscapes. They can be tiny, surrounded by towering skyscrapers, or even portable. The importance and tranquil effects of the Japanese gardens are legendary and are the key reasons why they have inspired gardeners and horticulturalists around the world. In Japan, gardens are divided into two types: the kind visitors can meander through, and others that are visual showpieces. But beyond that, the style of garden is a free, fluid form of art. Gardens can incorporate a number of different styles. In classifying gardens, there are some common components that you will find on your visit. This is the oldest type of garden to be found in Japan and contains a body of water and often includes an island. These tiny islands in the garden pond were considered extremely sacred spaces. They represent heaven, and can often be reached via a bridge. Some gardens were designed to be seen and enjoyed as the visitor walks or strolls around them. These walking gardens retain a link to the original ‘pond and island’ model of garden, and often have a convoluted shoreline. 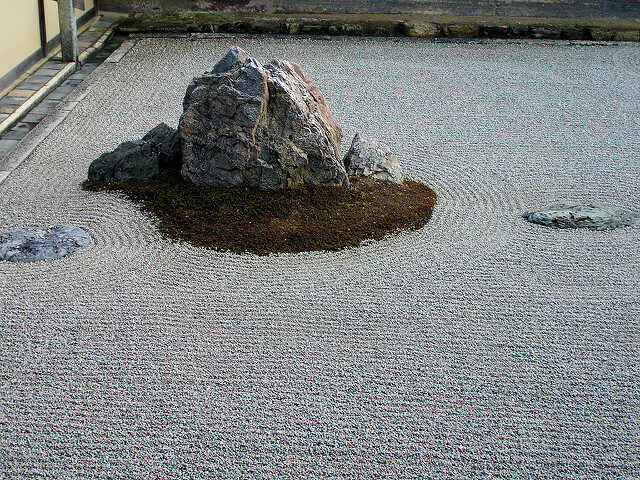 Particularly associated with Zen temples, dry landscape gardens are popular and iconic as well. They use sand or gravel is used to represent water. Designers work with the dry landscape, raking the surface in a variety of ways to represent the ocean. Another unique garden style are Tea Gardens where a path of stones lead visitors to a ceremonial tea house. Finally, courtyard gardens – called tsubo niwa – are found in relatively small spaces, usually between buildings. They were originally designed to be the personal garden spaces for wealthy aristocrats and surged with the rising merchant class. Built on the island’s west coast in Kanazawa, the gardens at Kenrokuen may be described as a collection of gardens. Built for the region’s nobility, they include a variety of ponds, waterways, rolling hills, nooks, flower gardens, along with a number of pavilions and tea houses. 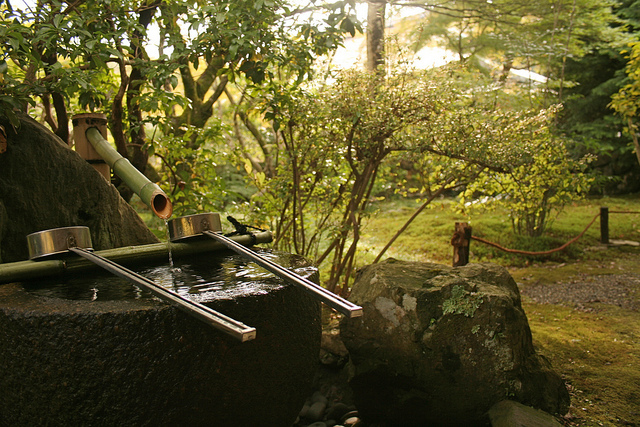 In the city of Kyoto, the tradition of creating perfect gardens is legendary. Katsura Imperial Villa in the western part of the city is a lovely strolling garden. Extremely popular, advanced reservations to enter the garden are usually necessary. If interested in one of the country’s famous stone gardens, Kyoto’s Ryoanji Temple should be your choice. For Anika, in Kyoto, Murin-An is one of her favourites. She also recommends a visit to Shigemori Mirei Garden Museum. One of the 20th century’s best-known gardeners, Mirei Shigemori, created this garden around his Kyoto residence. Reservations are required, but the trip is worth it, Anika says. Possibly the most celebrated garden in all of Japan, the Saihoji moss garden, or Kokedera, is in Kyoto as well. Highly exclusive and equally beautiful, entrance is only allowed with advanced registration. To enquire, visit their reservation hub here. Another bright spot are the delicate gardens at the Adachi Museum of Art located in Matsue. In addition to the gardens, visitors can enjoy the museum’s collection of Japanese art as well. 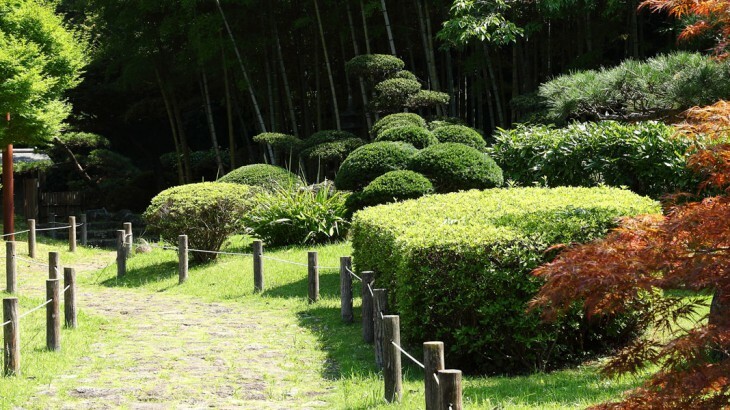 Arguably the best garden in the Greater Tokyo area is Yokohama’s Sankeien garden. This urban gem includes a pond and a number of historic buildings that were transported to the capital from all over the country. 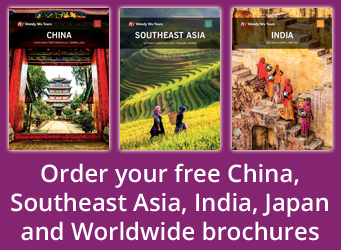 View all our award winning Japan holidays on our new website. Our award winning escorted, fully inclusive tours visit all the major sights of Japanfor an unforgettable holiday. Japan nature, sightseeing, top things to see. permalink.